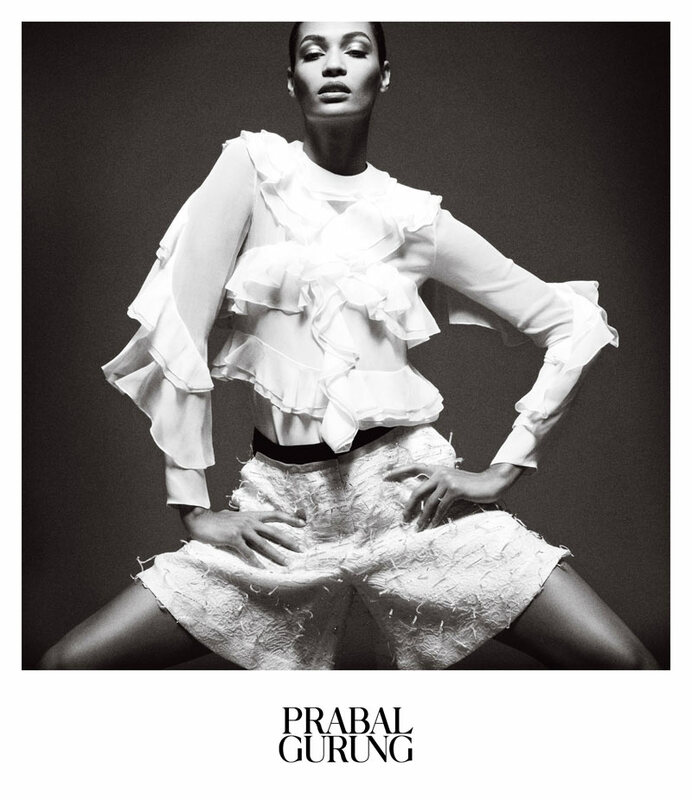 Supermodel Joan Smalls blows the ball out of the park with Prabal Gurung's latest Spring/Summer 2013 campaign offering. Shot by photographer Daniel Jackson and styled to the hilt by Tiina Laakkonnen, the campaign images draw inspiration from the geometric and biomorphic sculptural works of Indian born British artist, Anish Kapoor. 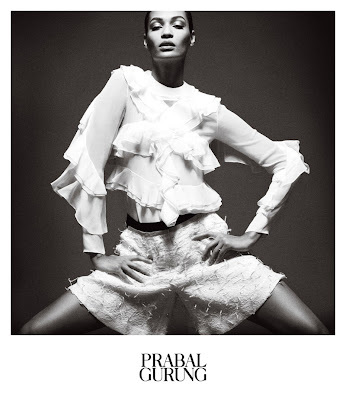 Smalls fits the label's aesthetic perfectly with Gurung declaring to British Vogue of his muse, "I have known Joan for a while now and every time I am with her she continues to impress me. Aside from her obvious beauty, she is so sharp, witty and just really gets it. This season was about celebrating the woman we design for, that woman who has an innate ability to command attention, but in a subtle way - the woman who does not need fashion to garner attention, but rather uses it to enhance what is already there. Joan in so many ways epitomises this." 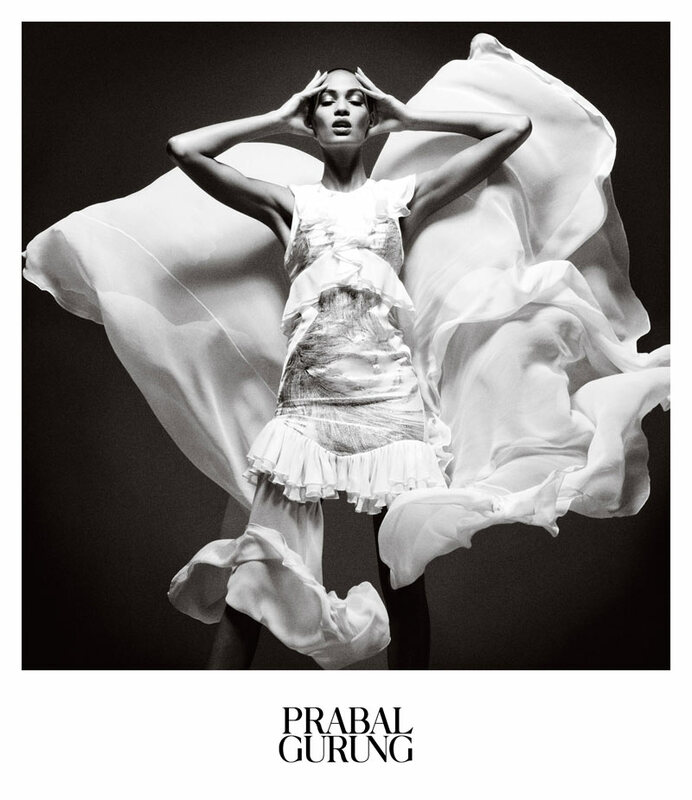 The campaign's black and white studio images depict Smalls with elegantly swept back hair and a serene expression whilst emanating a powerful and purposeful presence.